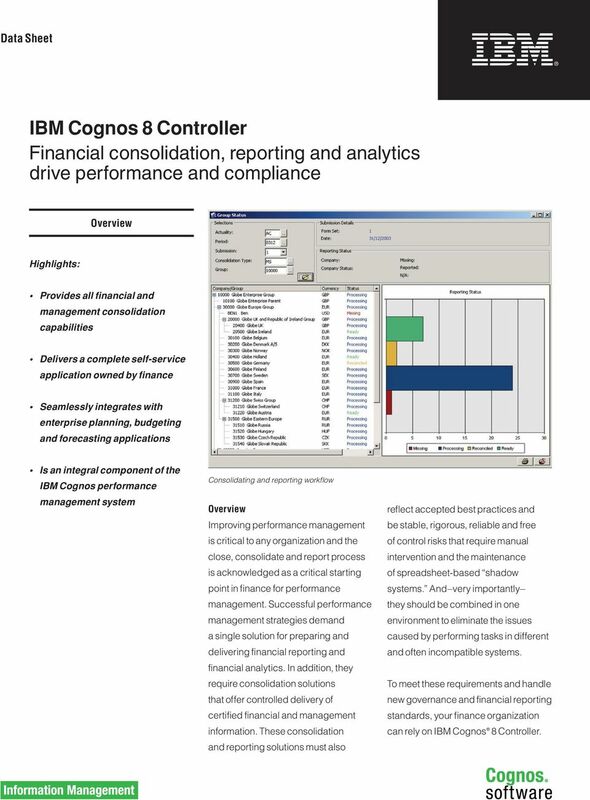 Download "IBM Cognos 8 Controller Financial consolidation, reporting and analytics drive performance and compliance"
1 Data Sheet IBM Cognos 8 Controller Financial consolidation, reporting and analytics drive performance and compliance Overview Highlights: Provides all financial and management consolidation capabilities Delivers a complete self-service application owned by finance Seamlessly integrates with enterprise planning, budgeting and forecasting applications Is an integral component of the IBM Cognos performance management system Consolidating and reporting workflow Overview Improving performance management is critical to any organization and the close, consolidate and report process is acknowledged as a critical starting point in finance for performance management. 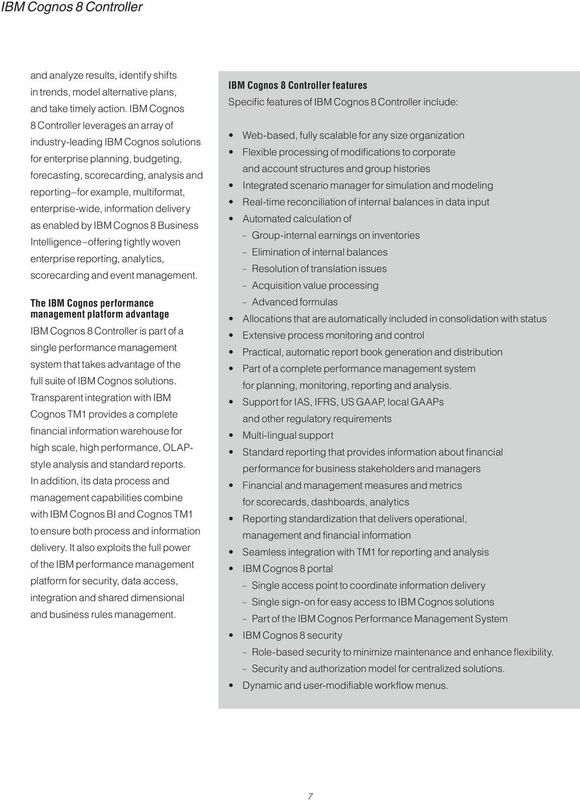 Successful performance management strategies demand a single solution for preparing and delivering financial reporting and financial analytics. 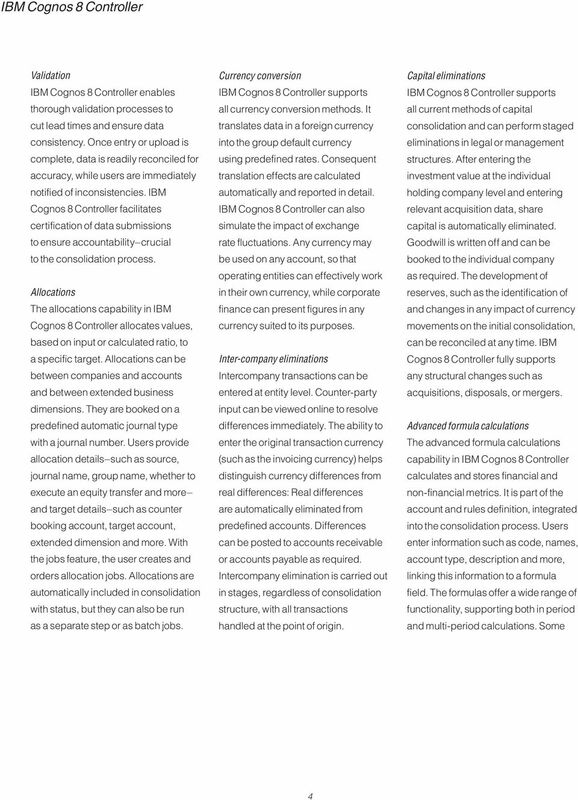 In addition, they require consolidation solutions that offer controlled delivery of certified financial and management information. 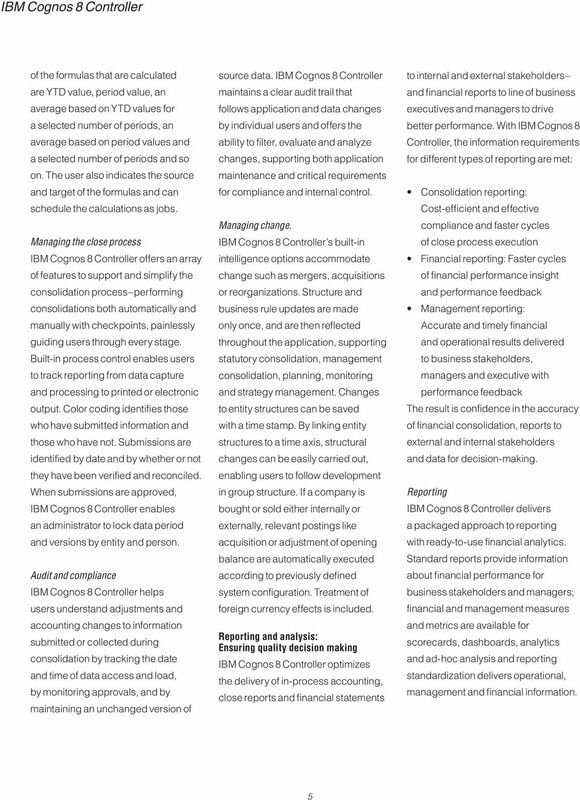 These consolidation and reporting solutions must also reflect accepted best practices and be stable, rigorous, reliable and free of control risks that require manual intervention and the maintenance of spreadsheet-based shadow systems. And very importantly they should be combined in one environment to eliminate the issues caused by performing tasks in different and often incompatible systems. 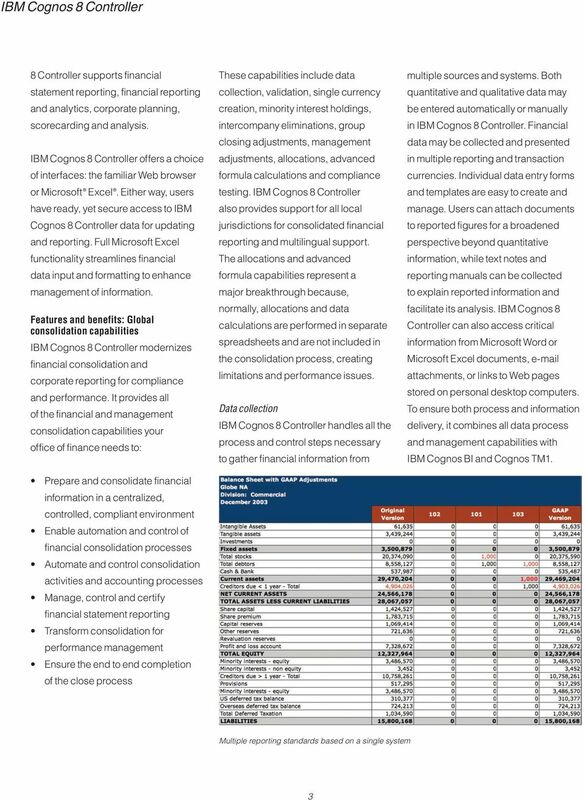 To meet these requirements and handle new governance and financial reporting standards, your finance organization can rely on IBM Cognos 8 Controller. 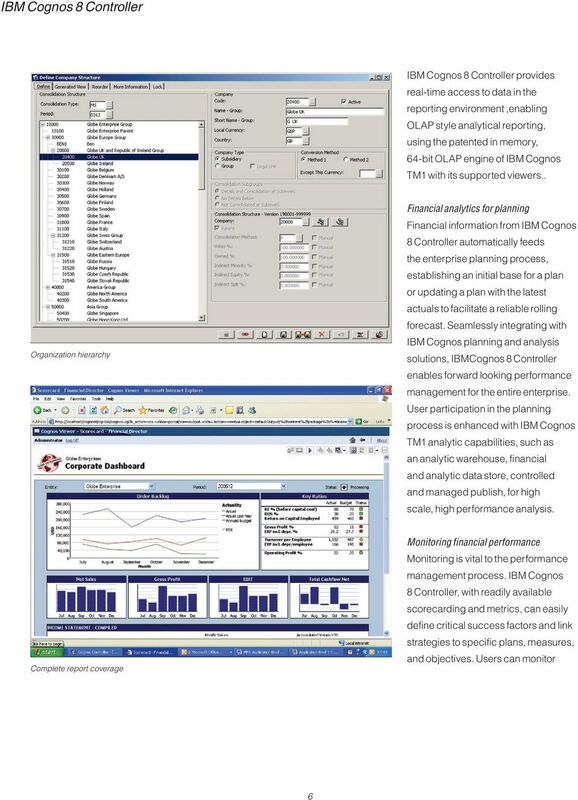 Standard Reports Highlights Preconfigured, standard reports give you out-of-the-box functionality throughout the close cycle. 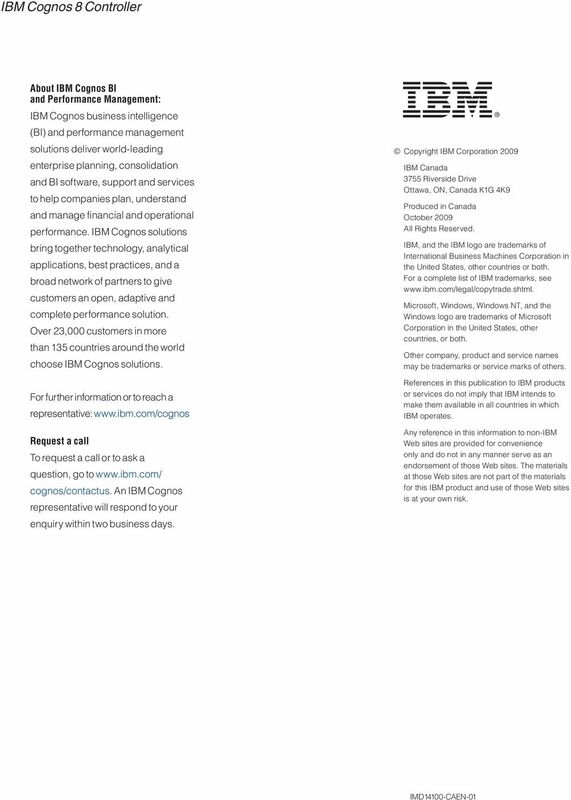 Detailed reports provide the information you need in the format you need it. Whitepaper. GL Consolidation. Published on: August 2011 Author: Sivasankar. Hexaware Technologies. All rights reserved. www.hexaware. 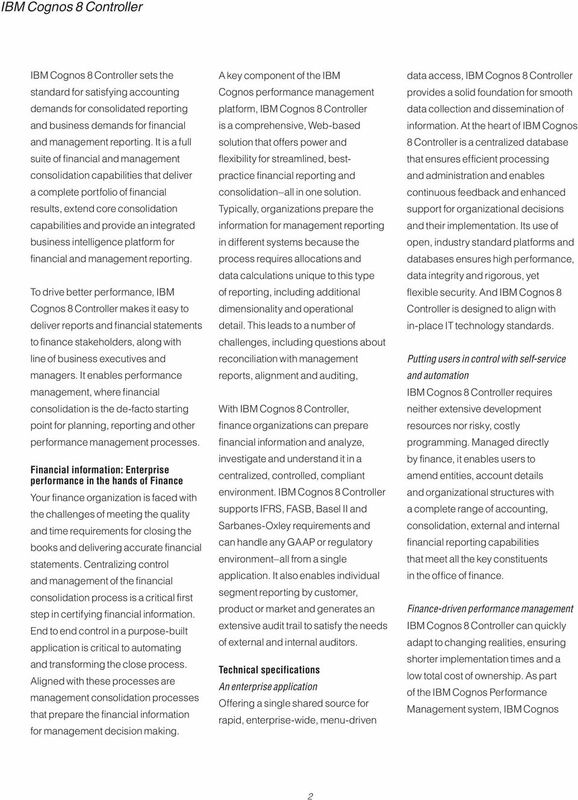 INDUSTRY OUTLOOK APRIL 2013 Enterprise Performance Management Chief financial officers must address a growing list of modern business imperatives, and EPM can help. Business today is moving at light speed.